$7,490,133.87 FOR THE KIDS! 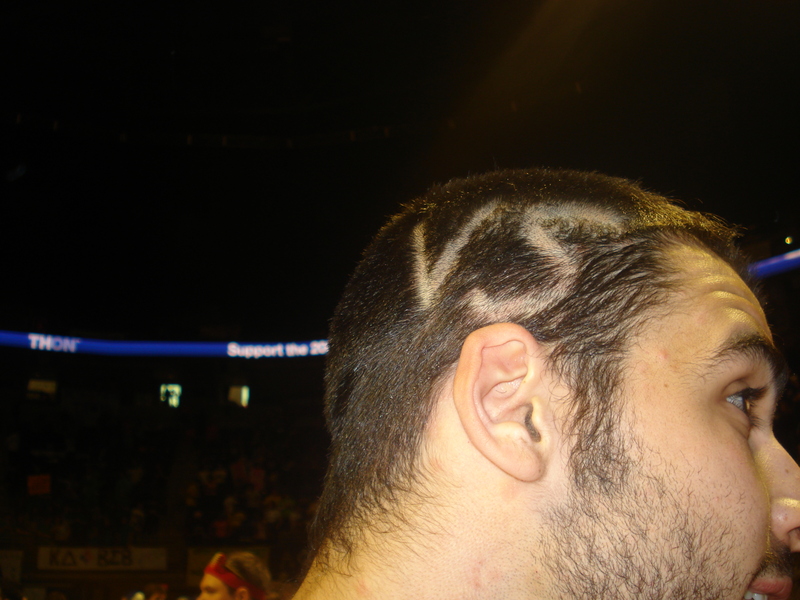 For Pediatric Cancer! The dancers were great! Shana, Lauren, Carrie, Jason, and all those who stood for 46 hours…CONGRATULATIONS! You are heroes in the eyes of every child and their families who walk through the doors of the Hershey Medical Center. I am amazed and you should be proud of yourselves! To everyone involved: Overalls, Captains, Committees, Orgs, and Spectators all over the globe, THANK YOU for making THON a HUGE success!!!! I am honored to be a part of such a great organization. Truly, if Penn State Students Ruled the world, everything would be fine. To the Kids and Families: We are honored to dance for you! You are part of our family and our love is your love! Thank you for sharing this weekend with us! You make this weekend more special than it already is! Wow! I can’t get over it! I am speechless! 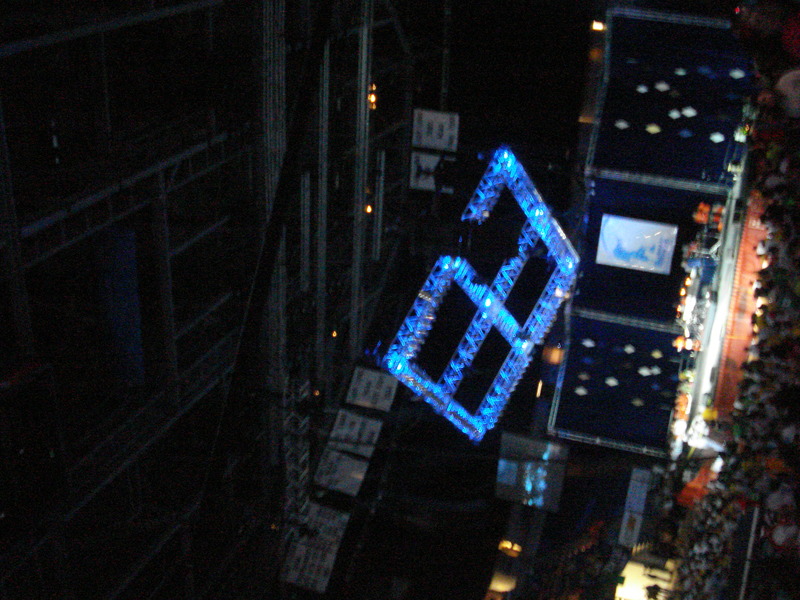 Visit: www.THON.org for more info and a rundown from this weekend. So I was at THON from 4pm on Friday until 8am on saturday with a bit of a small train home to shower in between. I had been up for 27 hours by that point so I came home after my last camera shift and pass out cold. I just woke up around 2 15. It was BEAUTIFUL!!! As an ex dancer I knew I could stay awake all 46 hours. But then I would have to explain to my professors why I missed class and that’s not really good. So getting some sleep is great! The dancers at just about at the 21 hours mark right now and our dancers seem to be doing well. I keep sending them texts to let them know how amazing they are since I haven’t been able to get on the floor….no one wants anything which is shocking because I would be milking this for all I can…and I did….I craved smoothies a LOT during THON. I’m going to head back soon for a little bit just to say hello and give them some friendly faces to look at and see. I have a dinner and my family will be here shortly too. Then I’ll head back in the wee hours of the morning and stay until 4pm. Well more like closer to 5. If you go on THON.org and read the blogs they are starting to get funny. People are saying how other ppl are annoying, they are tired, they don’t know what time it is but don’t worry they aren’t delirious yet. It’s great! Also, the webcast looks great! I’ve been watching it since I’ve been awake. Love it! That’s all for now…I’ll try to post again but if I don’t look for the follow up with pics and the total!!! FTK!!! THON ON FOR THE KIDS! Who’s Your Favorite Jo Bro? LOVE IT!!! Was at THON from 4-12 and am going back in about 1 hr. I am on call for about 6 dancers if they need anything at all and I LOVE IT!!! Nothing like being an ex moraler, shunned THON member because you were away for a semester. No hard feelings THON!!! I am loving the fact that I will sleep ALLLL DAYYYY tomorrow and go back to THON at night and staying until the end. I have one more shift on Camera for the Webcast so check it out at THON.org. I have entered the Jonas Brothers Raffle and hope to win! Also, I have learned the line dance and visited many dancers on the Floor. This year looks super promising! I can’t wait til our Family and my actual family come tomorrow!!! YAY!!! 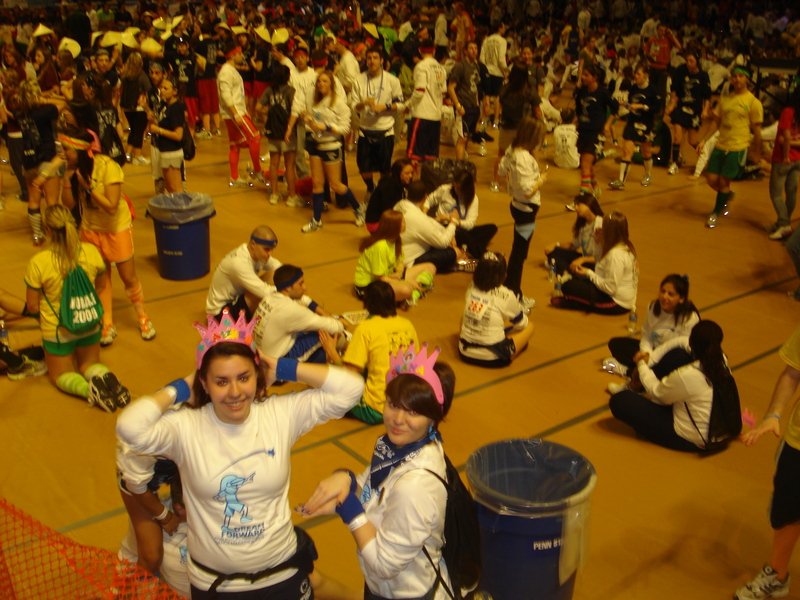 I plan on writing a lot this weekend and updating you on THON happenings. If you are interested in this AMAZING Dance Marathon Penn State Puts On every year you can check out the LIVE Webcast (which I am helping as a cameralady) at www.THON.org. There will also be DANCER BLOGS!!! I LOVE These because Dancers are CRAZY! I should know I was one in 2007! So at 4pm The madness starts! Pre THON starts at 5:15 and then we STAND at 6pm!!! I AM PUMPED!!! THON is a dance marathon where Penn State Students stand for 46 hrs to help raise money for Kids with Pediatric Cancer, The Hershey Medical Center, and the Four Diamonds Fund. We STAND without sleeping for 46 hrs to show those who are fighting, those who have won, those who have lost, their families and their friends that THEY ARE NOT ALONE! This weekend we strive to put smiles on kids faces no matter how bad our legs hurt. We laugh and sing and cry and celebrate life in all forms!! This weekend we FIGHT for a CURE! 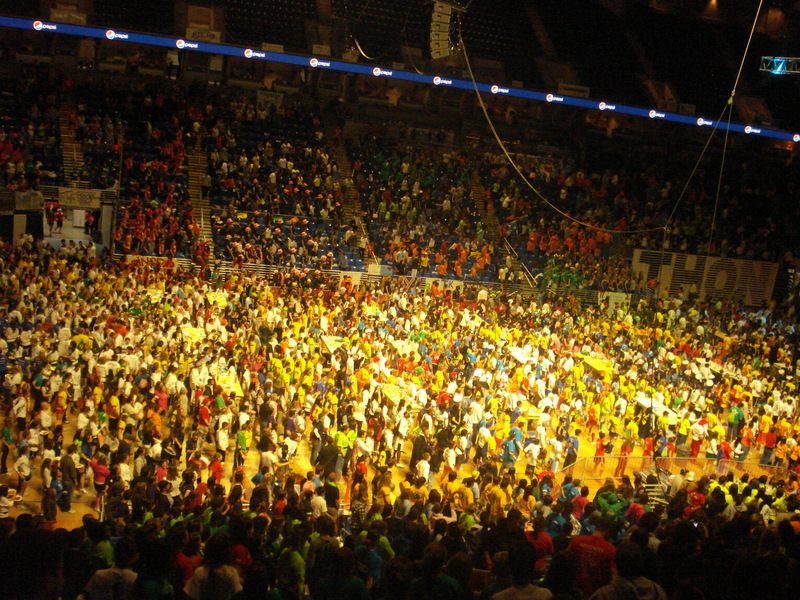 THON begins in the fall and builds until February and THON weekend. We are here to love and to share and to witness. One Day we will dance in celebration but for now, we dance for a CURE! FTK KIDS! I AM SO PROUD OF ALL OF YOU! 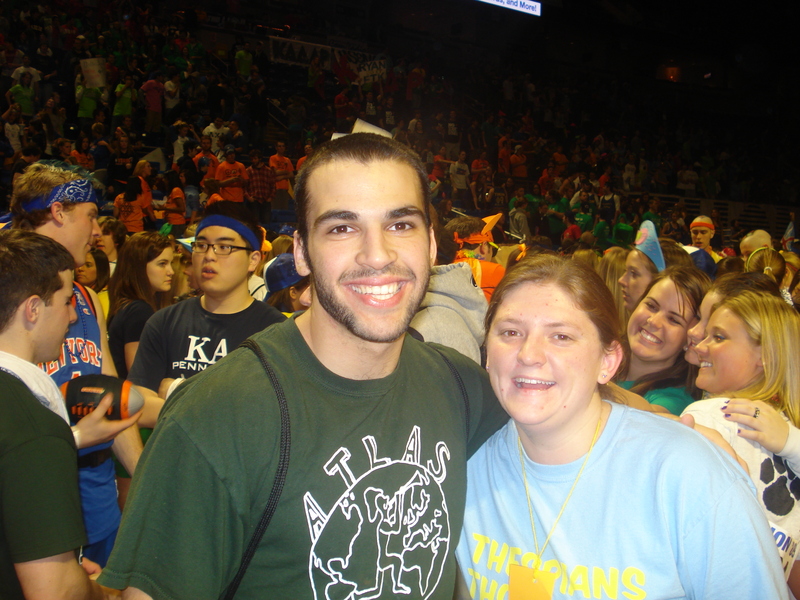 SHANA, LAUREN, CARRIE, LEO, ALI, RYAN, BECCA, MY MORALERS!, MY CAPTAINS, EVERYONE I KNOW INVOLVED IN THON! YOU GUYS ROCKS!